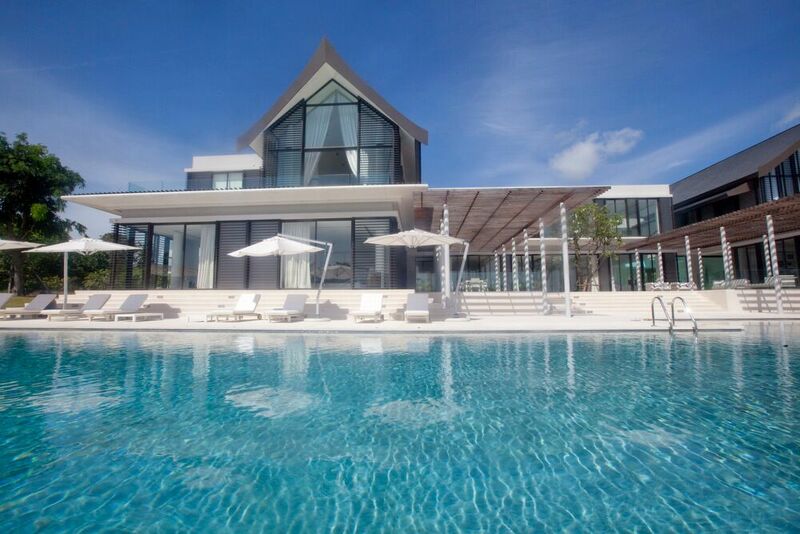 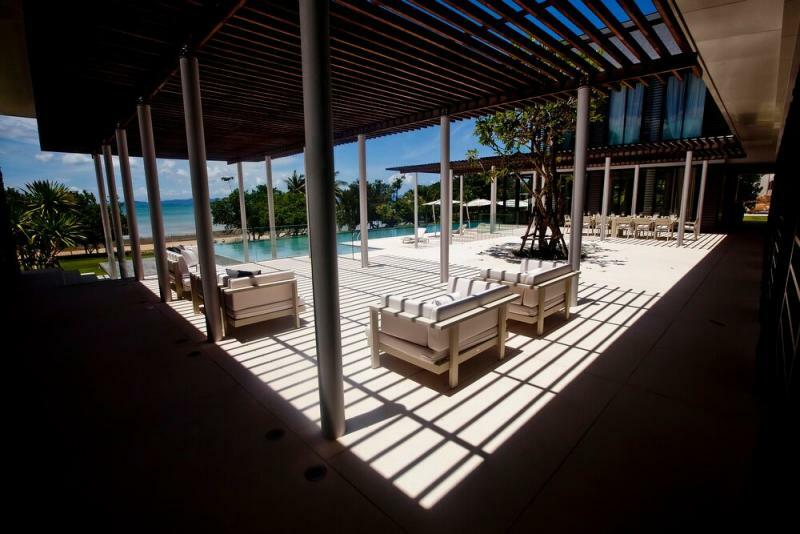 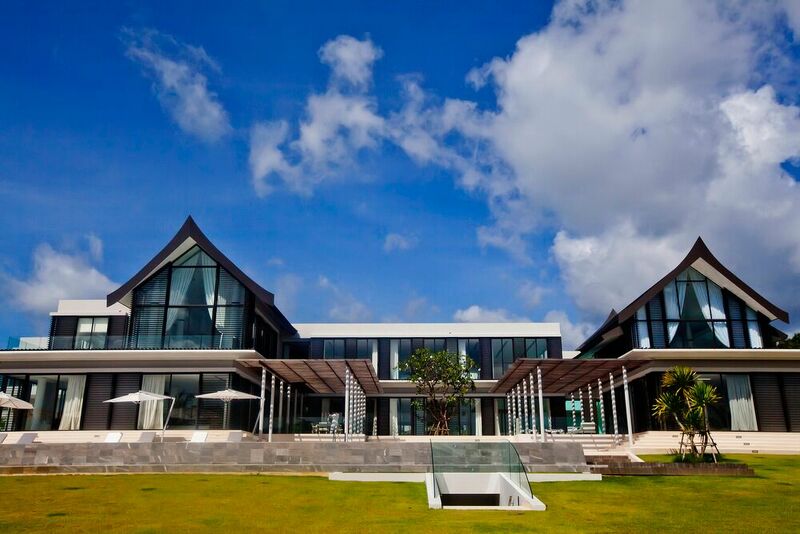 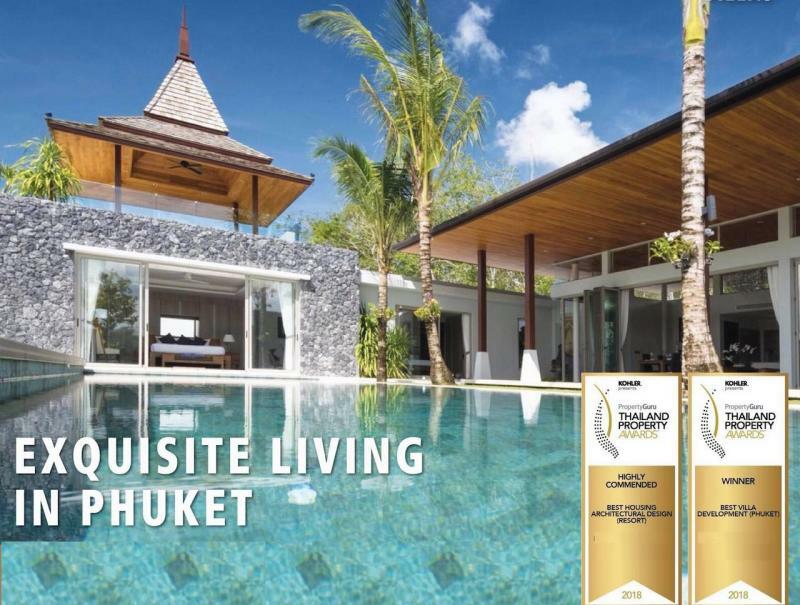 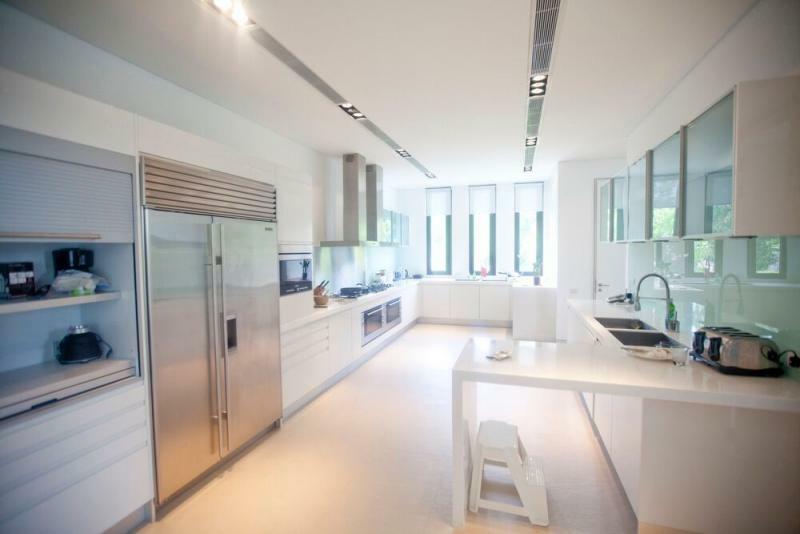 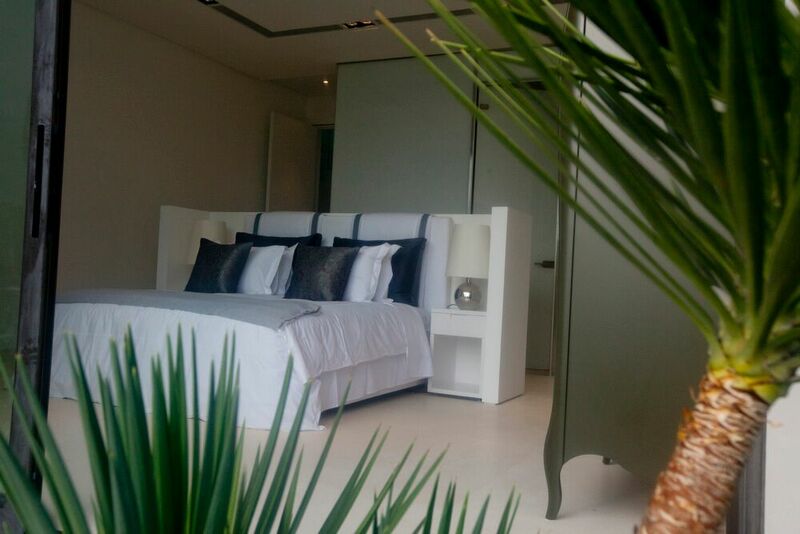 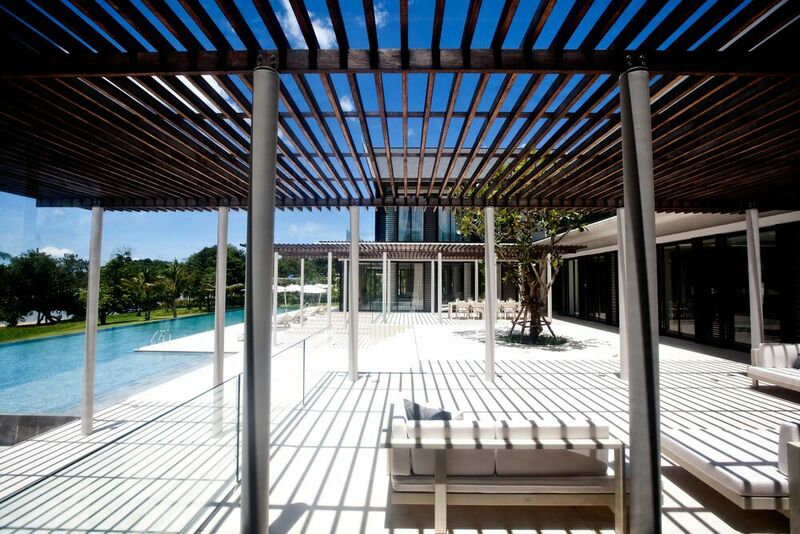 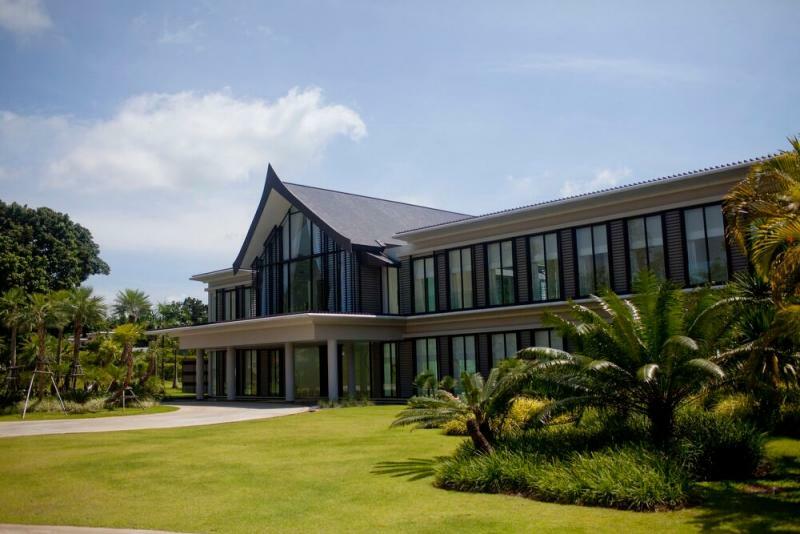 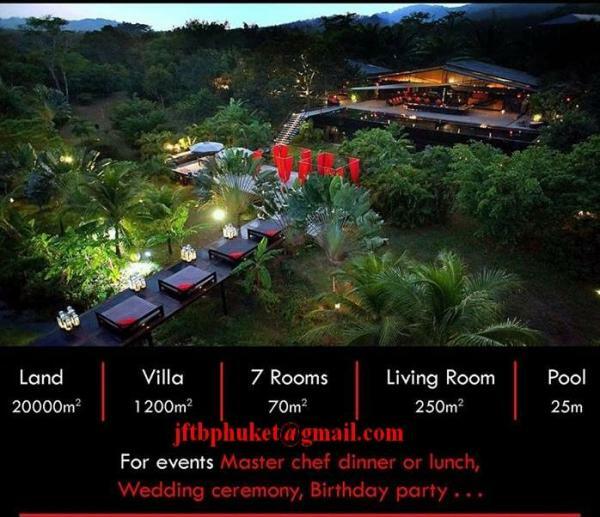 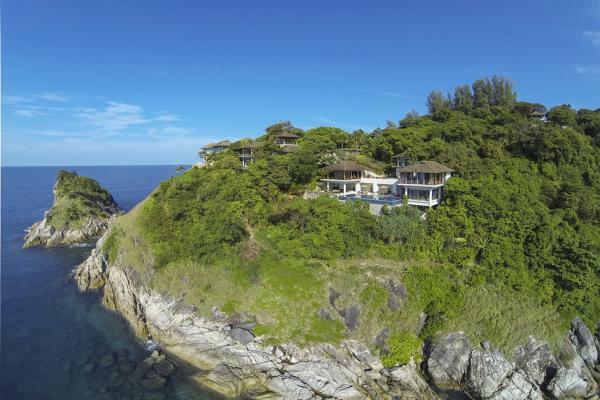 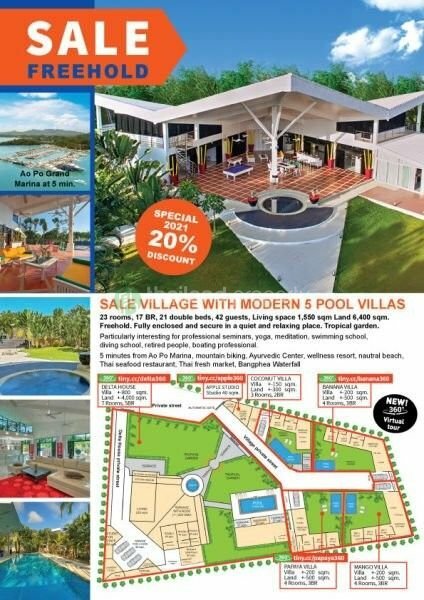 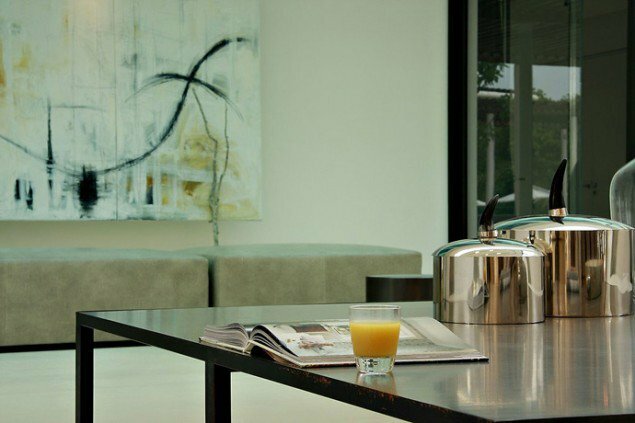 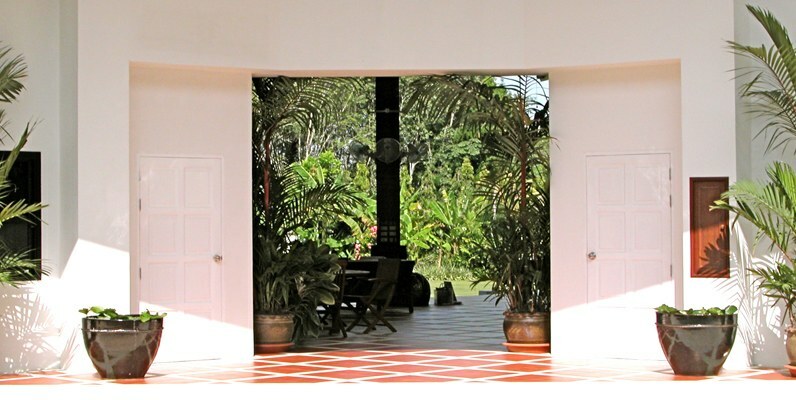 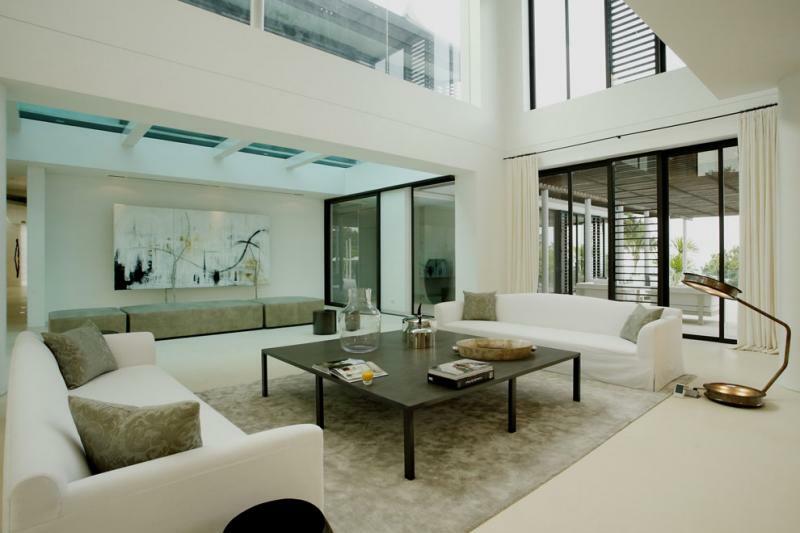 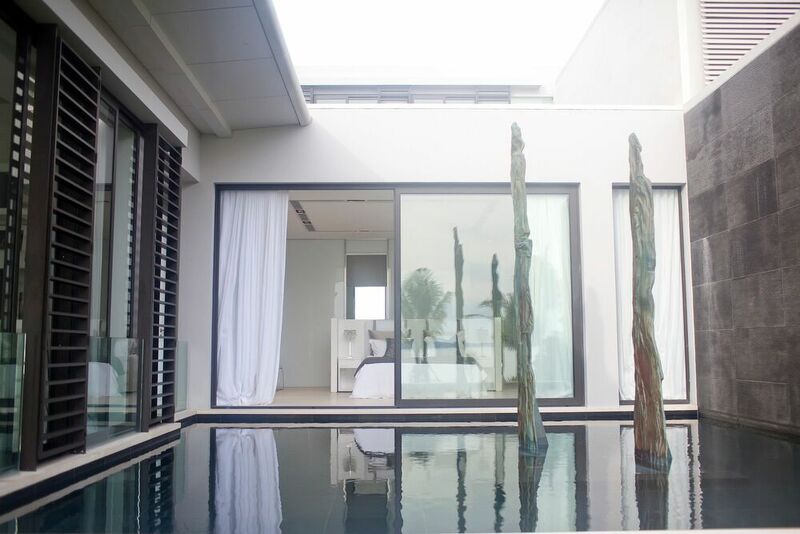 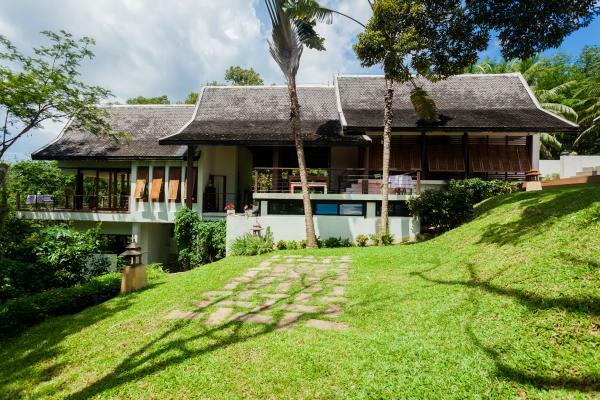 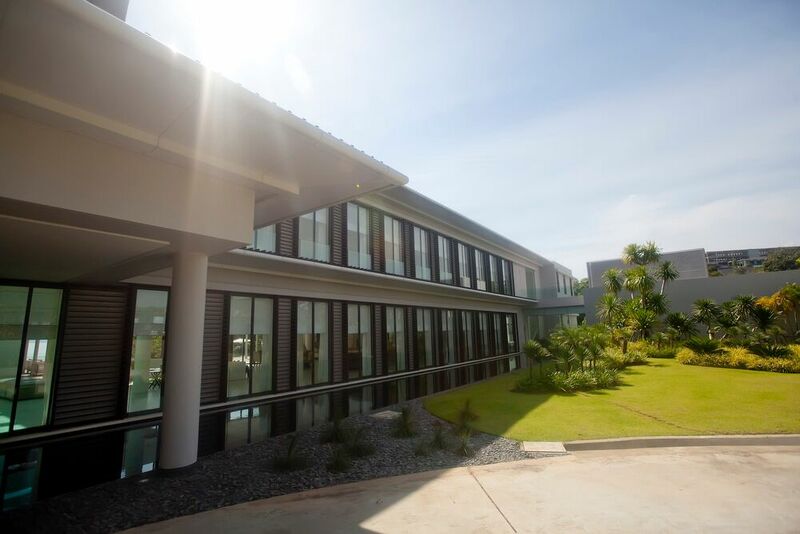 JFTB Real Estate Phuket is delighted to offer this extraordinary property for sale . 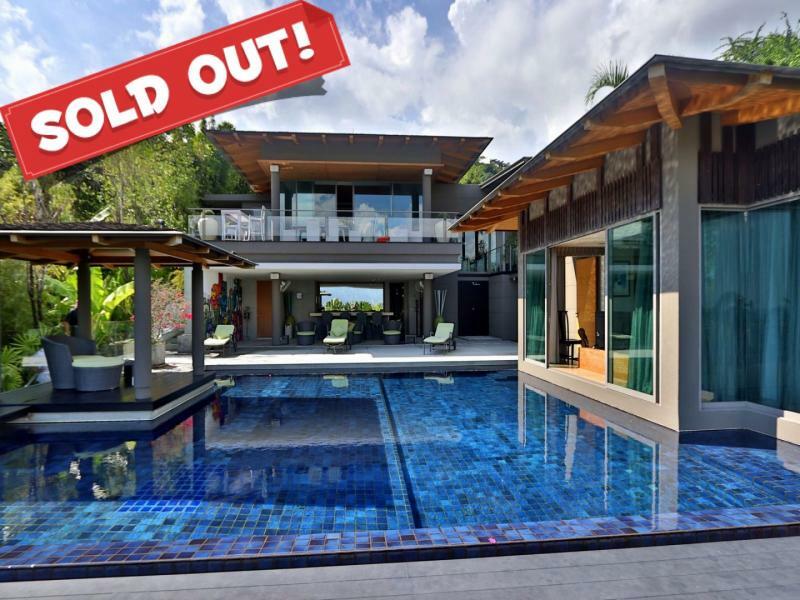 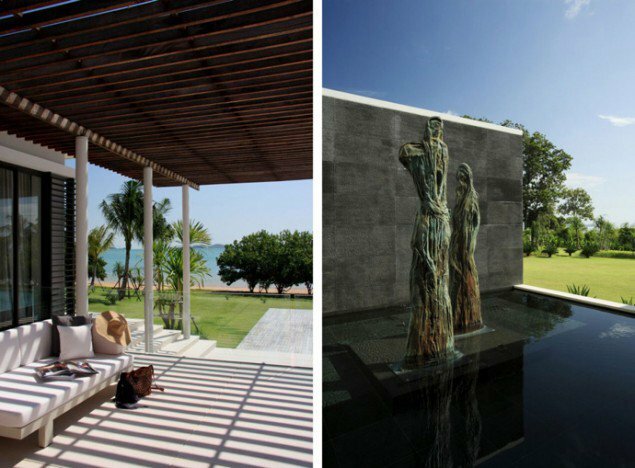 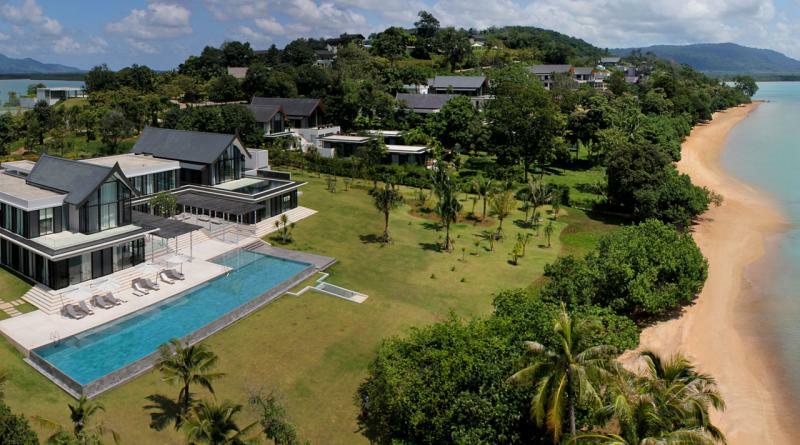 This beautiful and impressive villa for Sale is located in the exclusive private estate of Cape Yamu, on the East coast of Phuket. 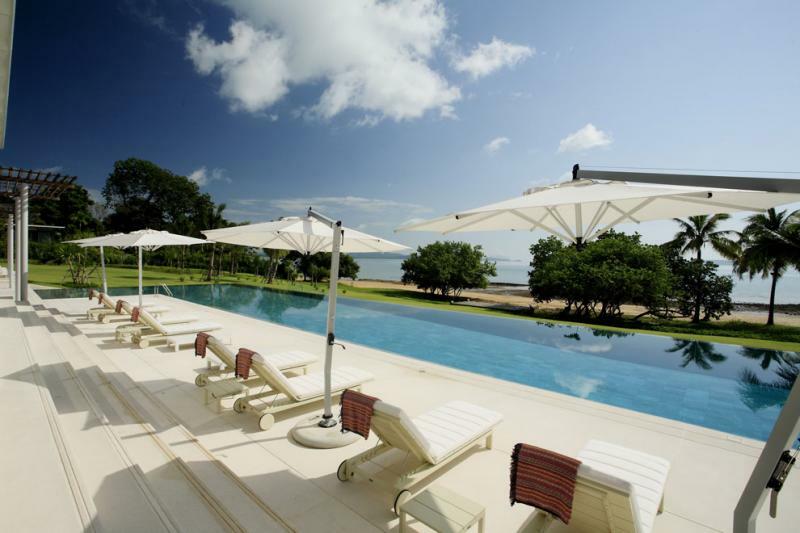 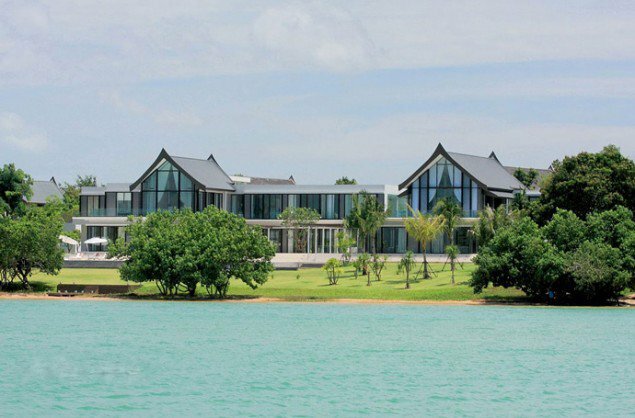 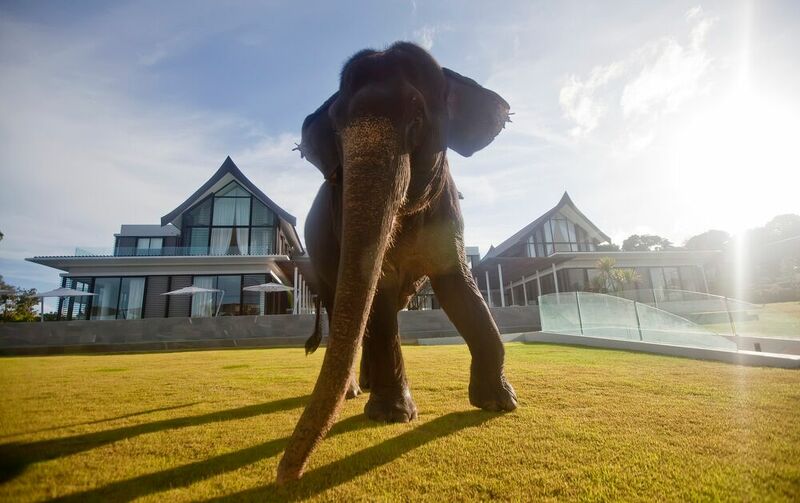 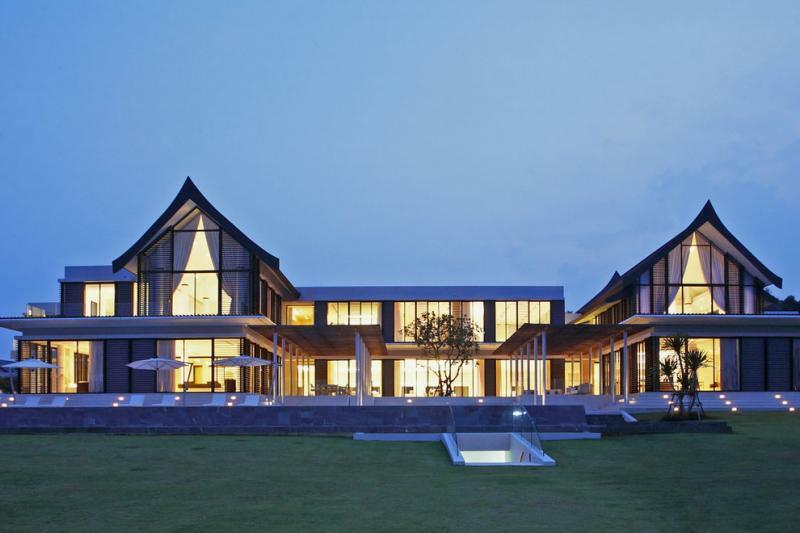 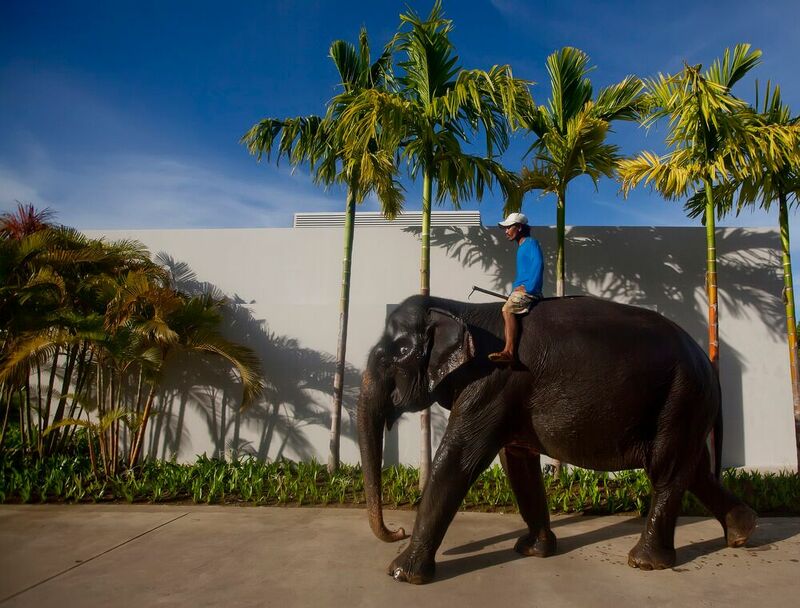 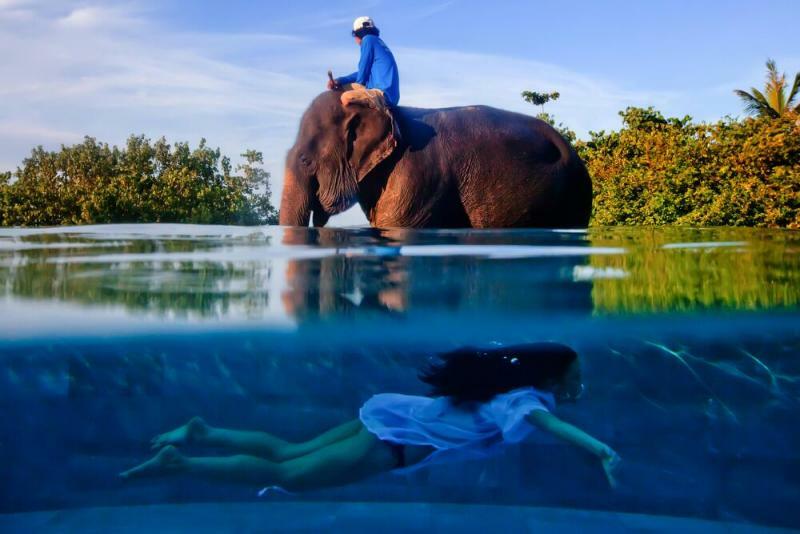 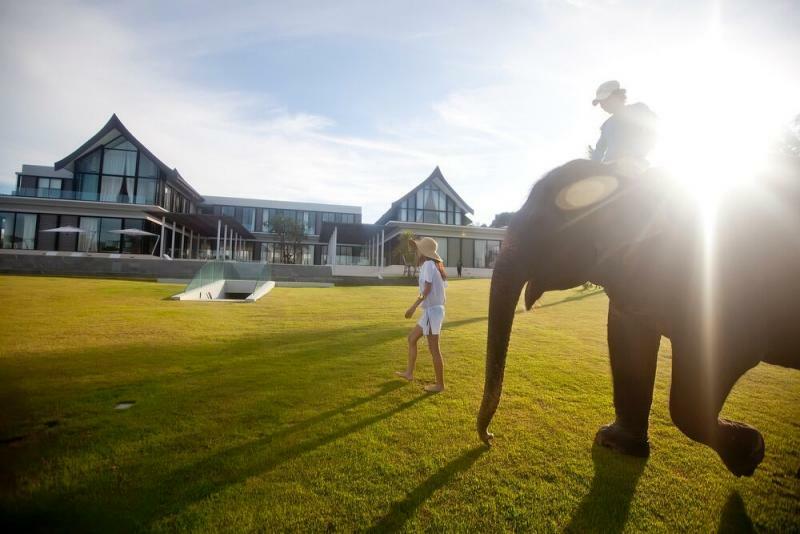 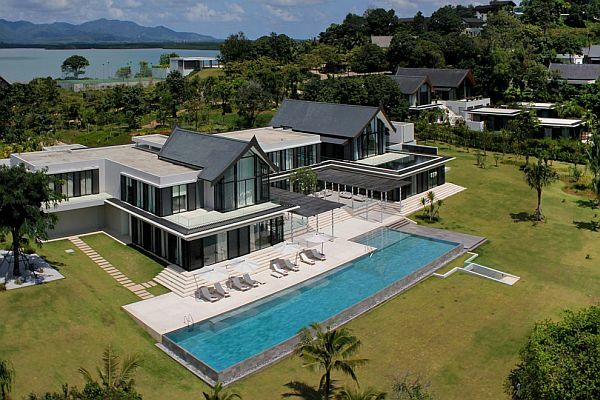 It is the largest of 30 villas in this gated community and one of the most incredible property in Thailand. 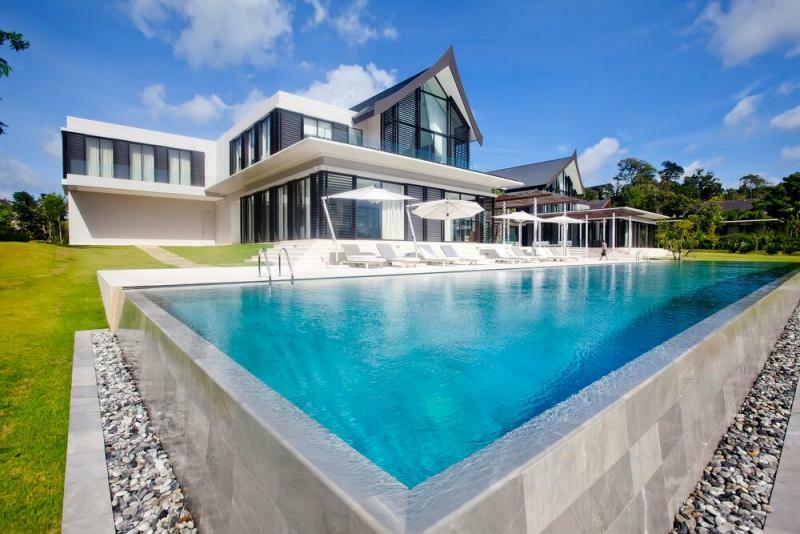 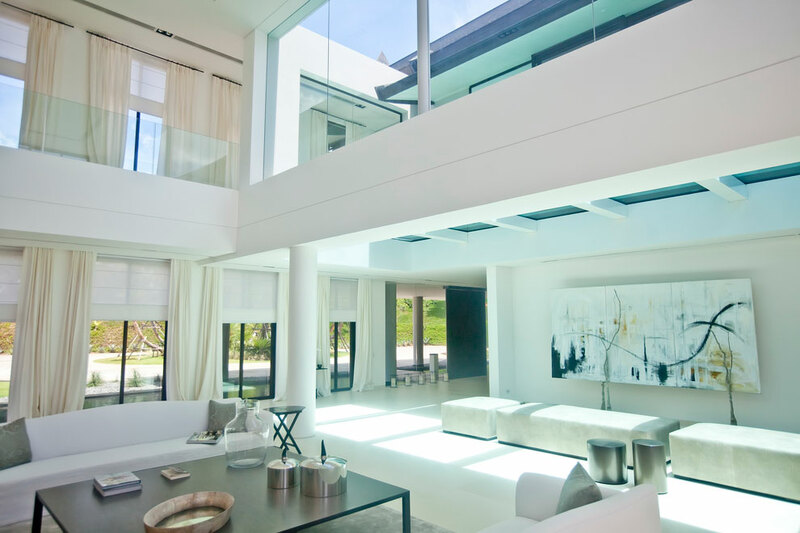 It is an expansive property with incredible design. 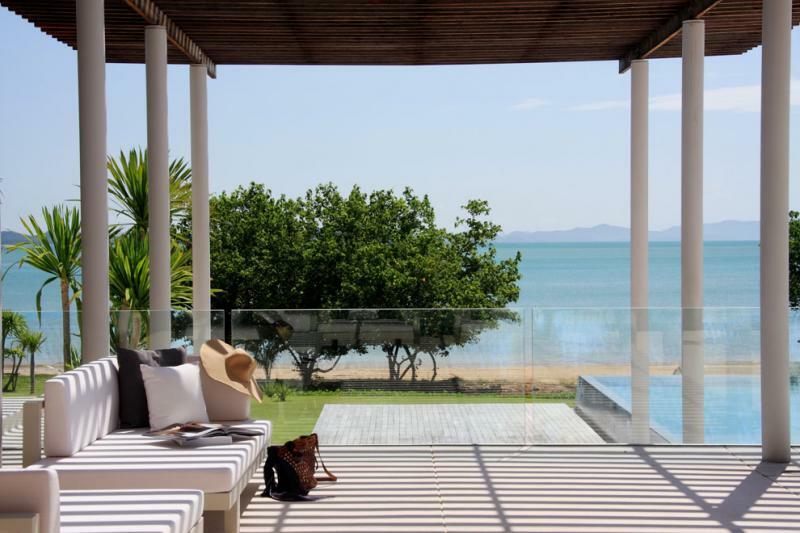 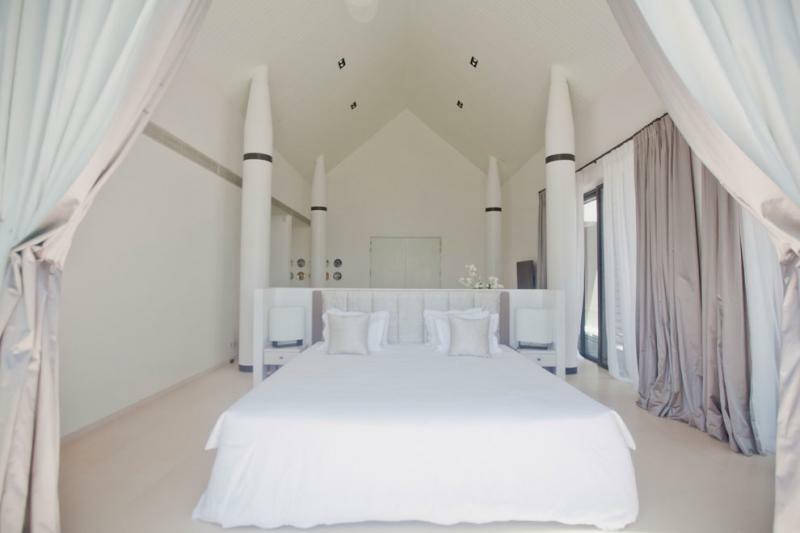 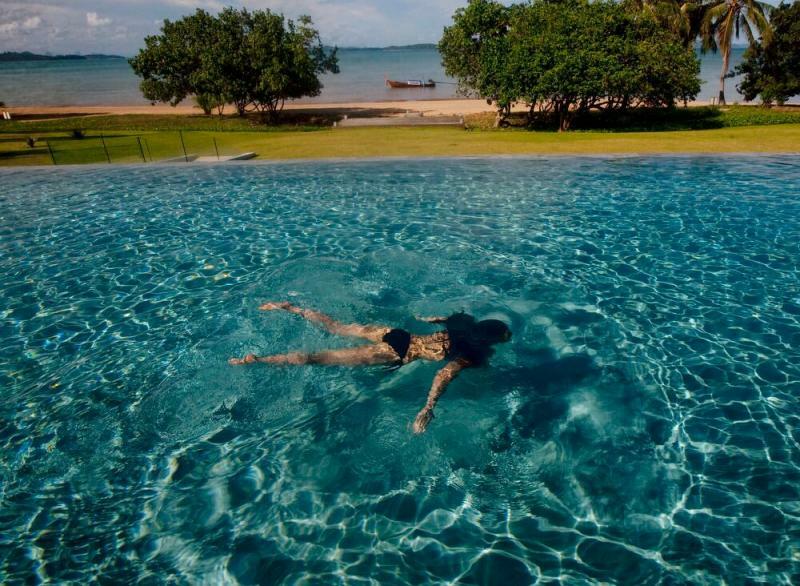 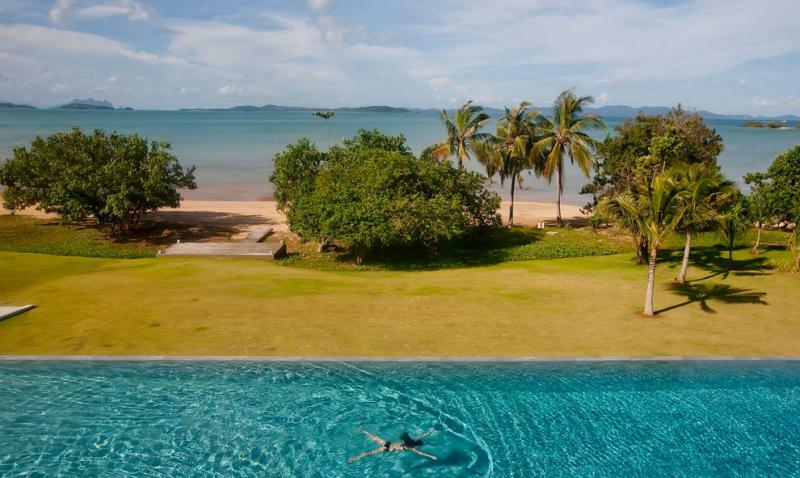 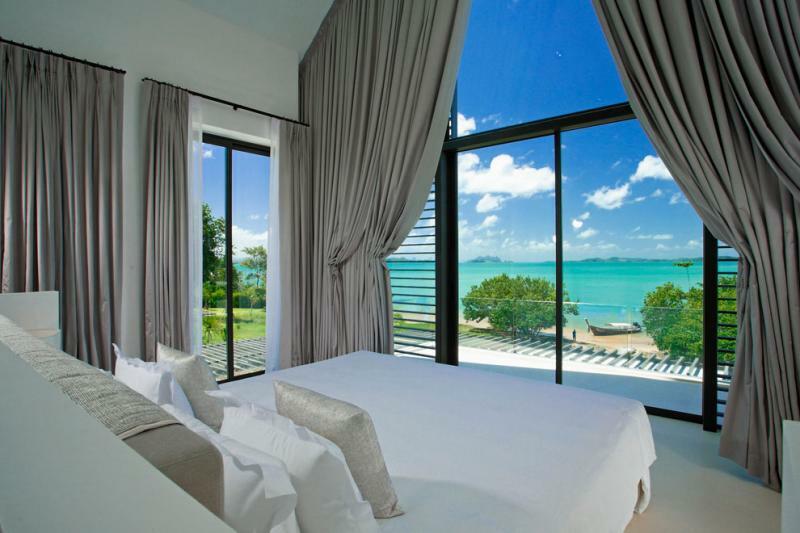 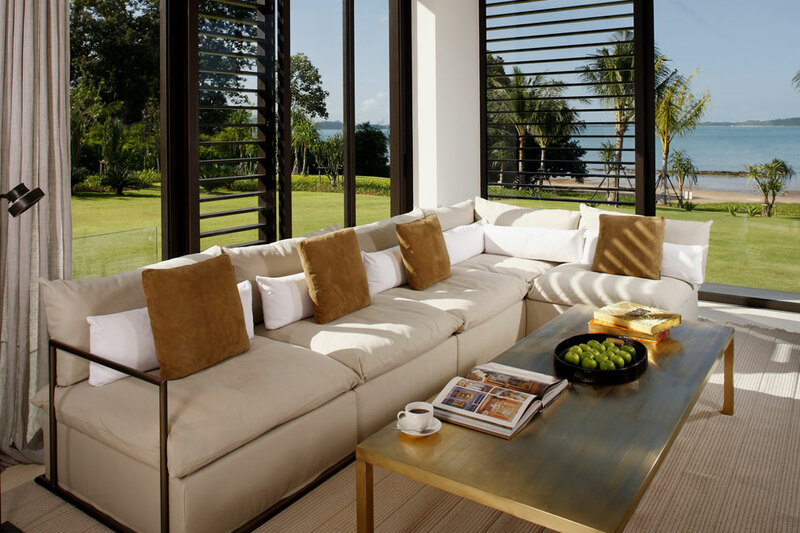 The villa enjoys a privileged location which allows to enjoy a breathtaking sea view from Phang Nga Bay, the beach and the incredible surrounding landscapes. 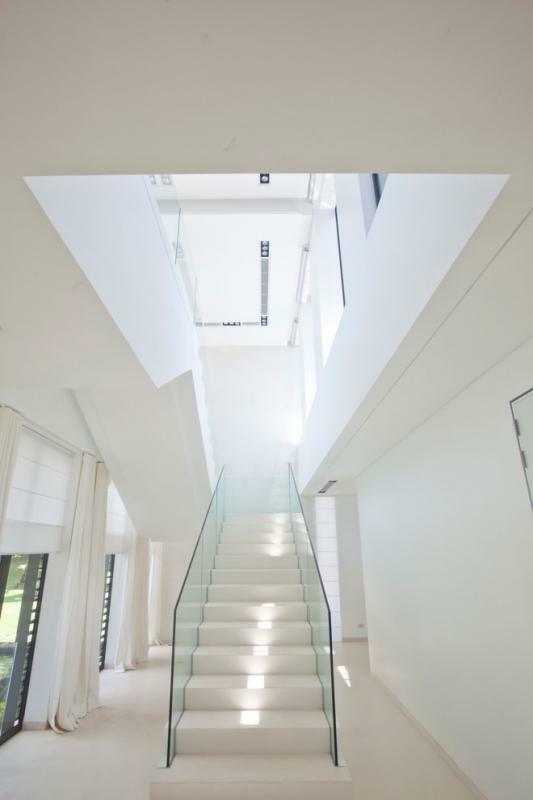 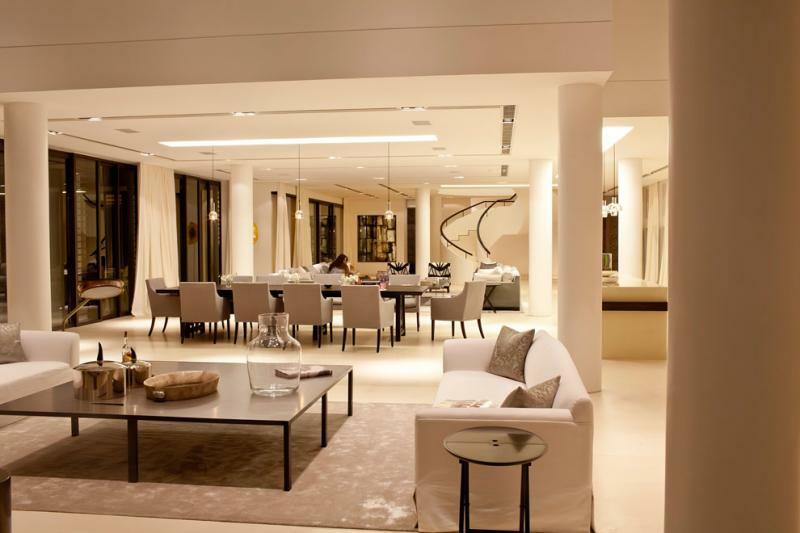 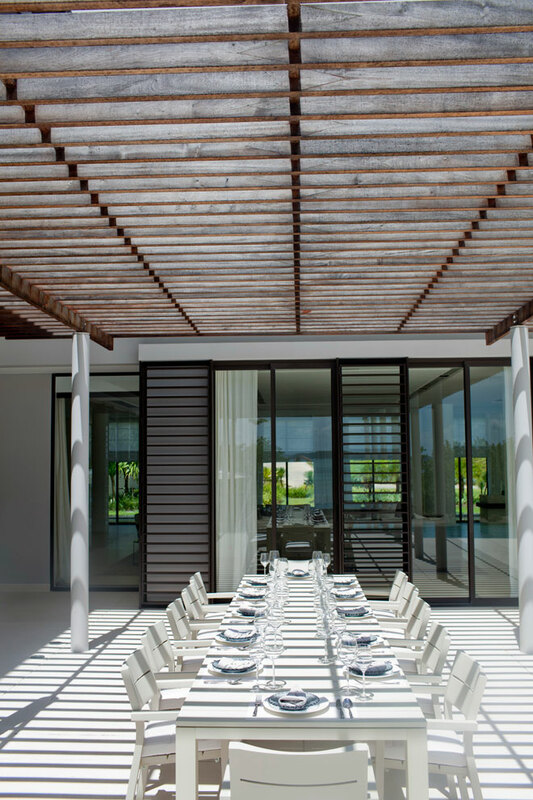 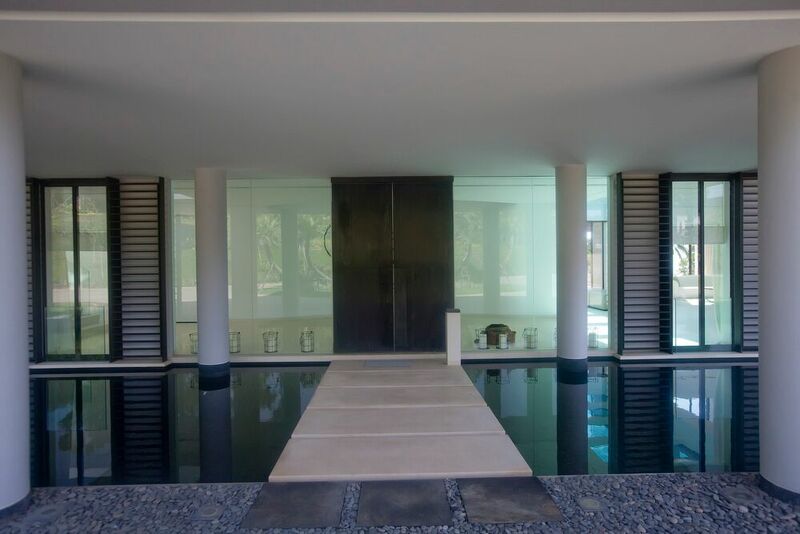 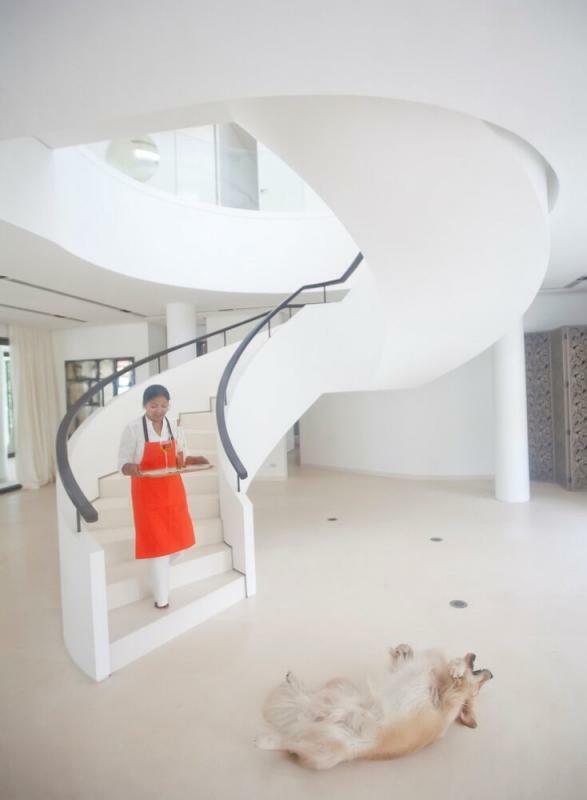 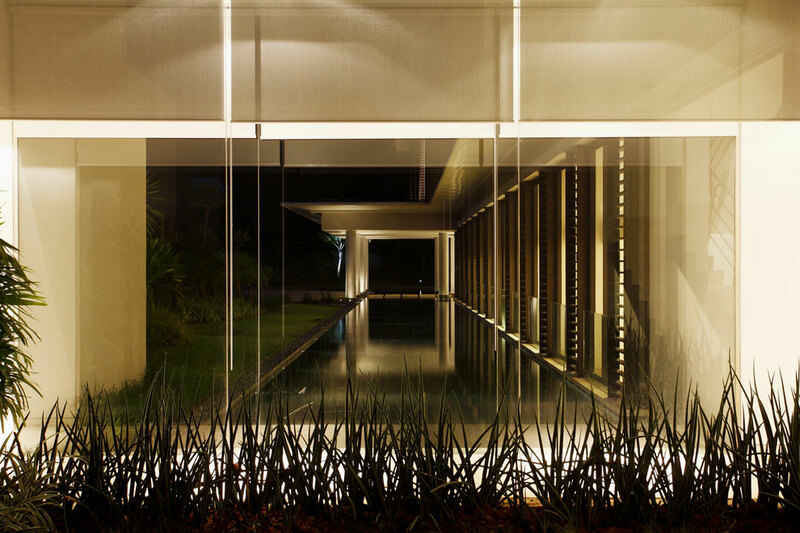 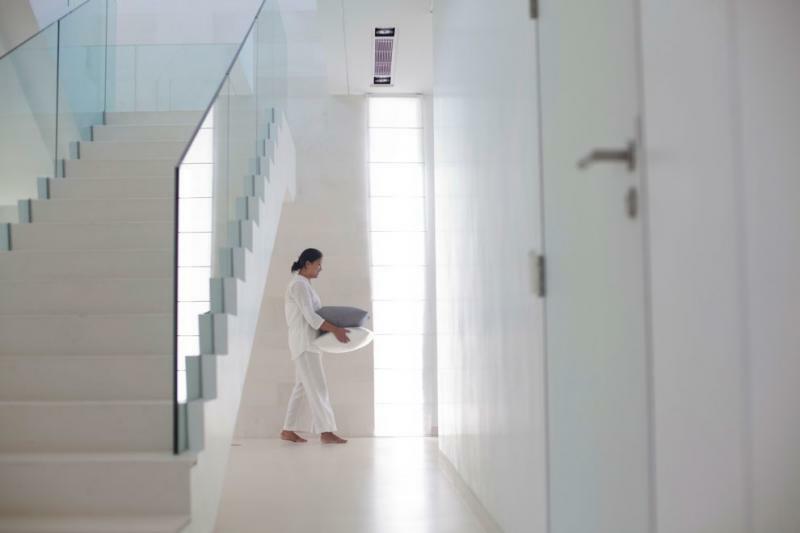 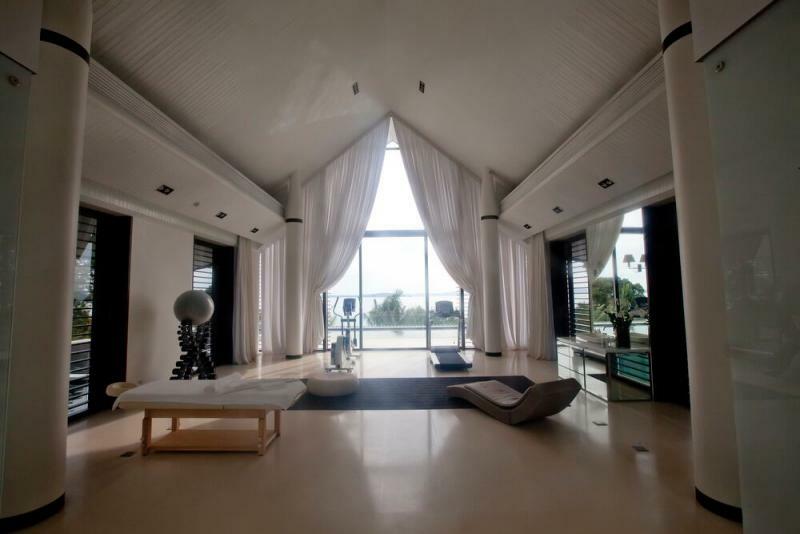 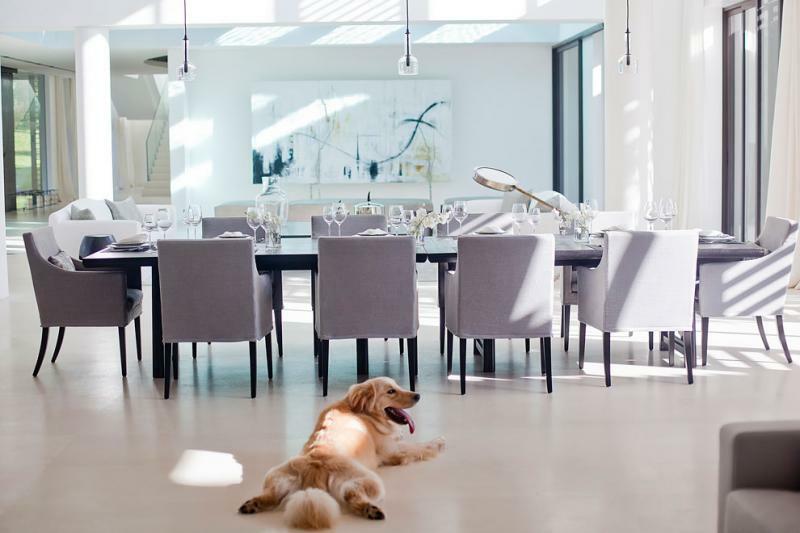 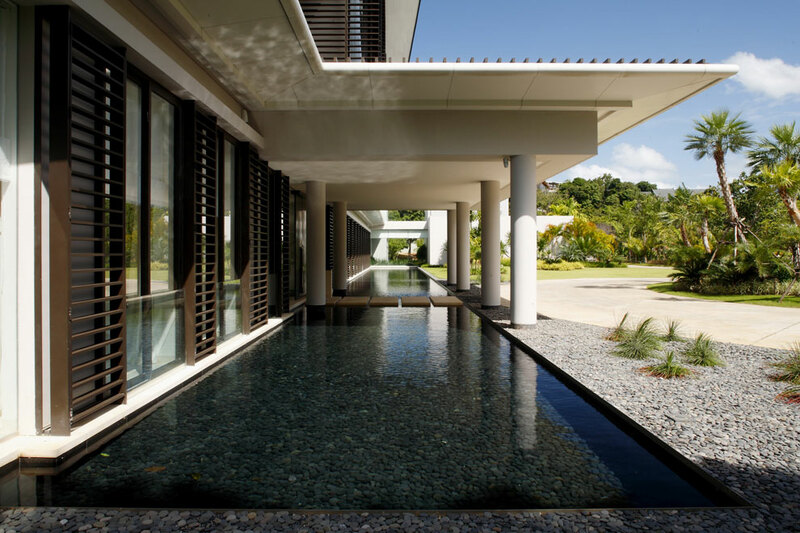 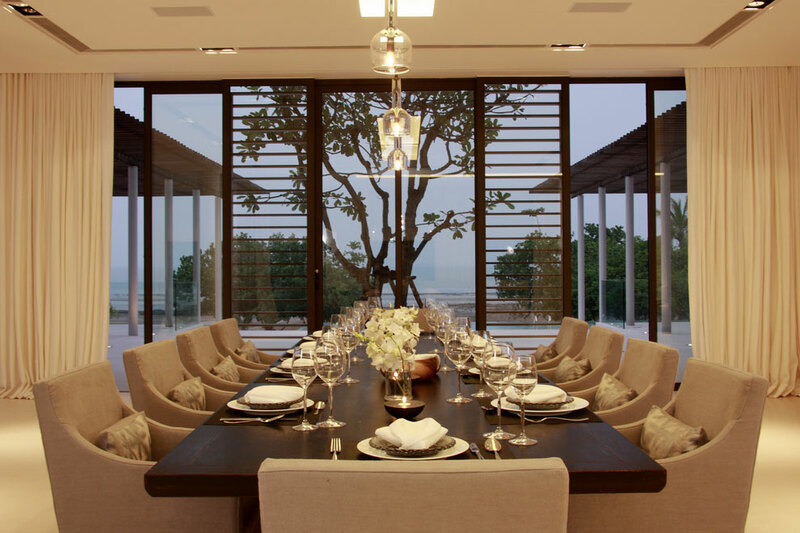 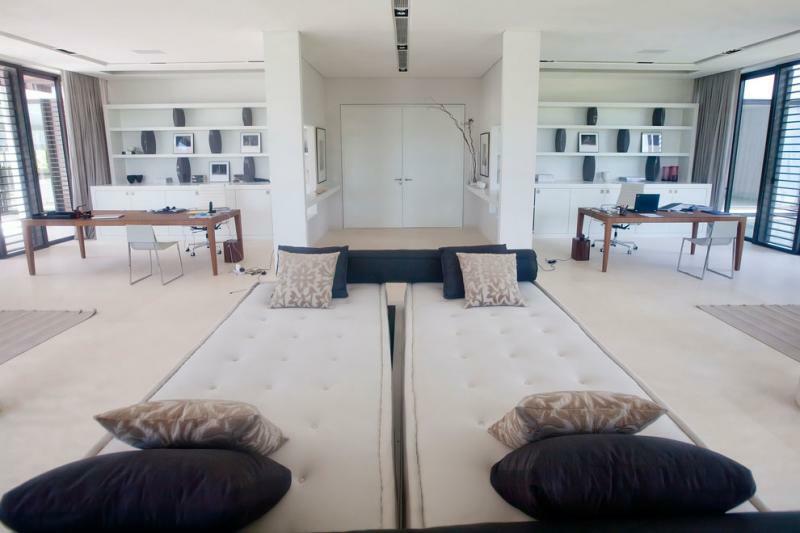 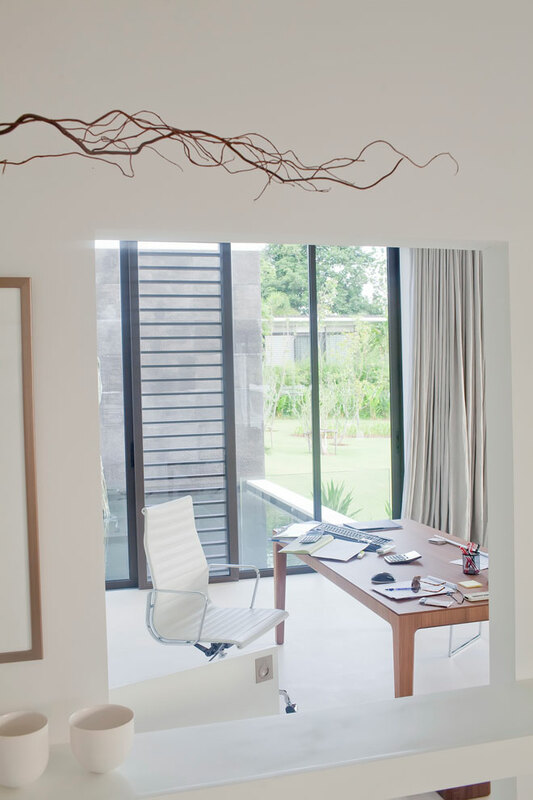 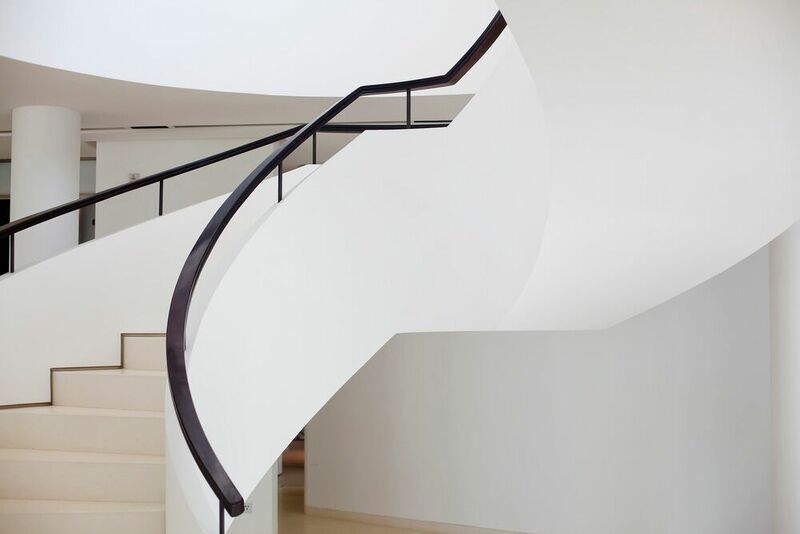 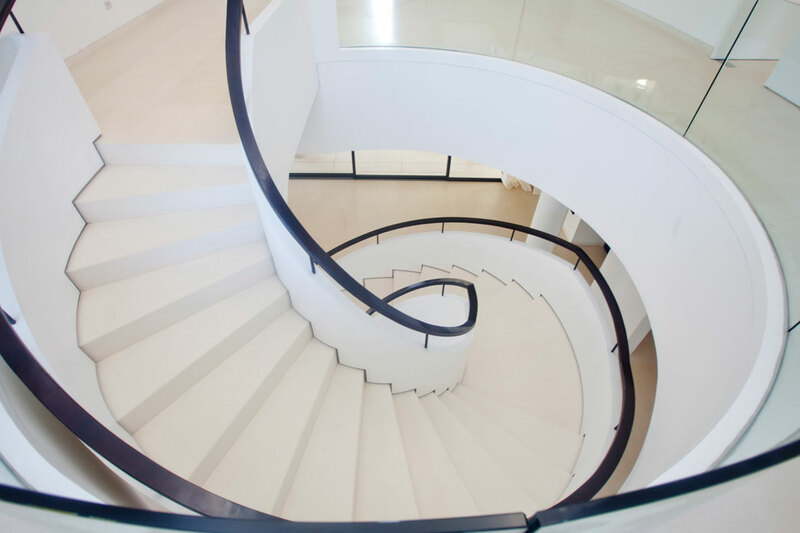 The villa was designed by architect Johnny Kember, in collaboration with Deborah Oppenheimer, according to the specifications of Jean-Michel Gathy who merged Thai and contemporary design to create this unique home. 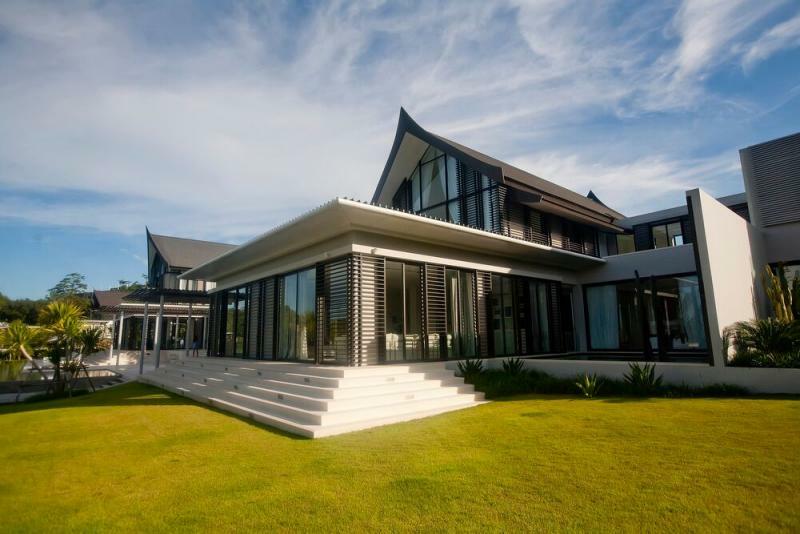 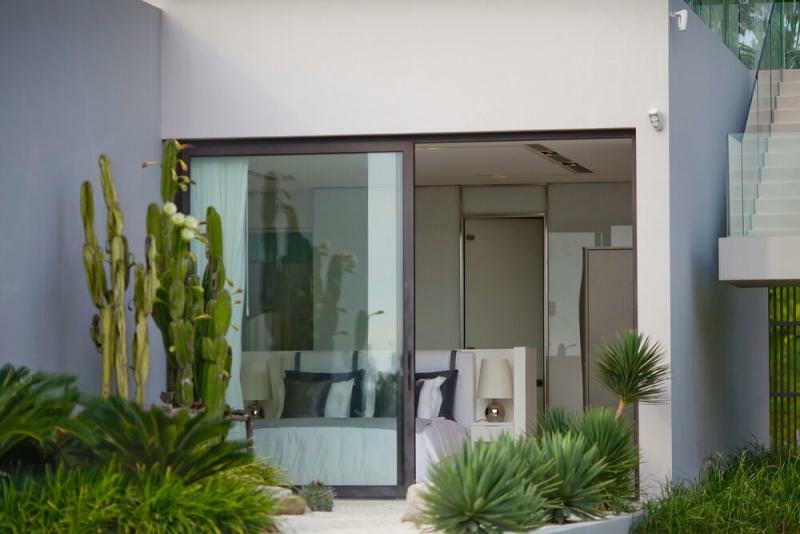 This unique villa offers 2,000 m2 of internal living area and a total of 4,500 m2 of building area including outdoor terraces. 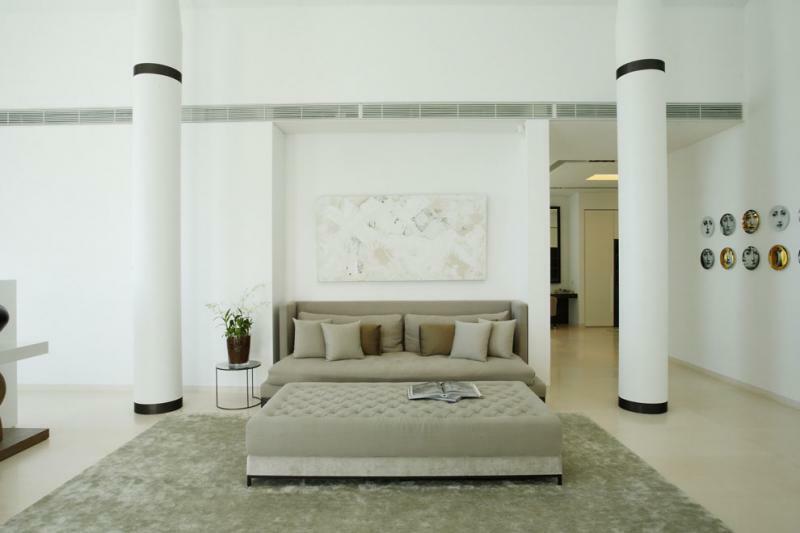 The interior and exterior living areas are decorated with high ceilings, imported limestone floors and top quality international furnitures, the structure is a work of art by itself. 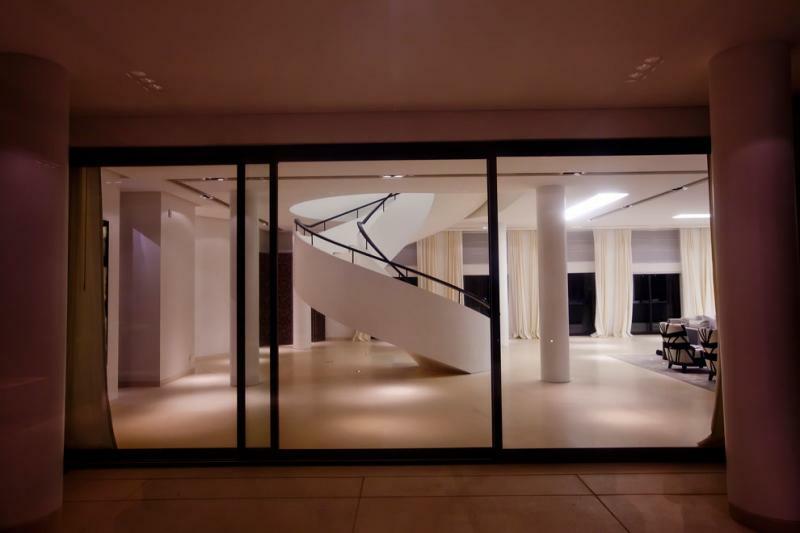 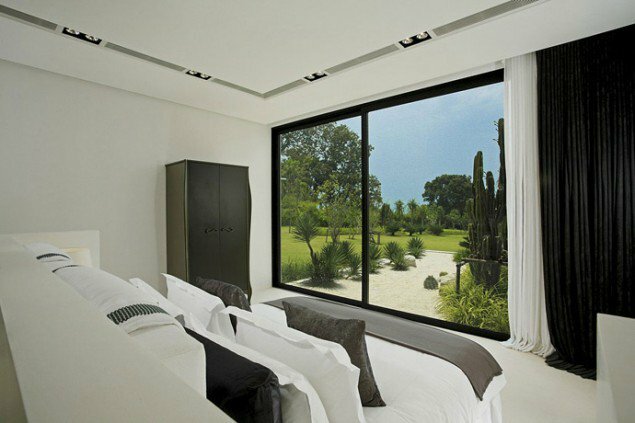 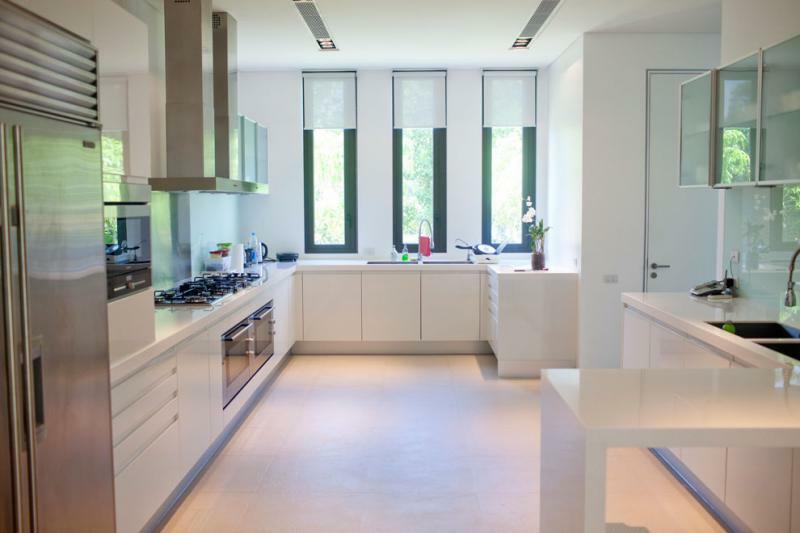 Setting on a plot of 15,000 m2, this modern property offers a private driveway, with extensive and unique landscaping. 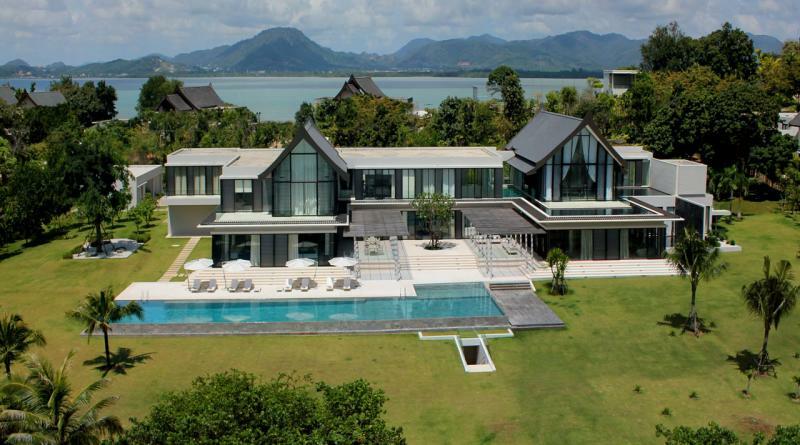 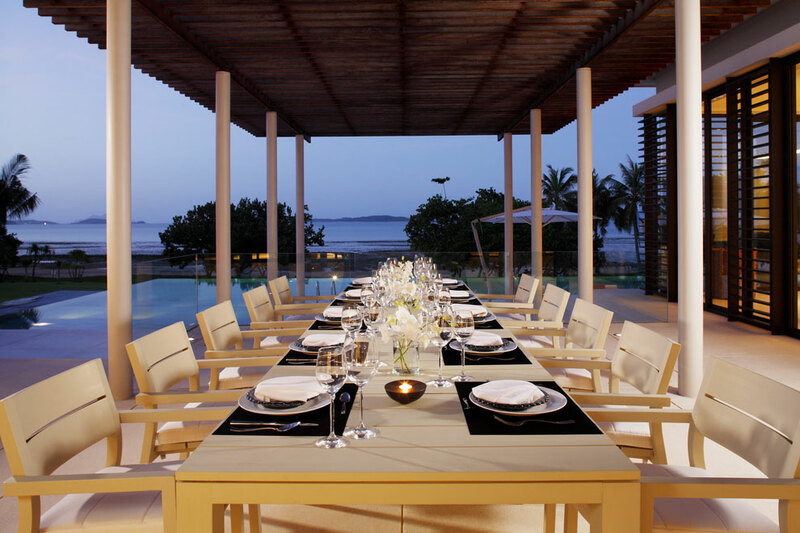 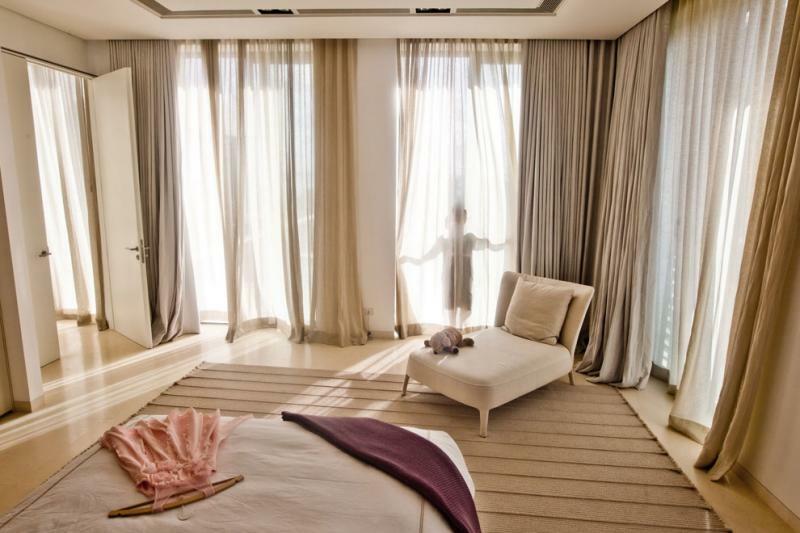 The residence has a 100 meters private beachfront. 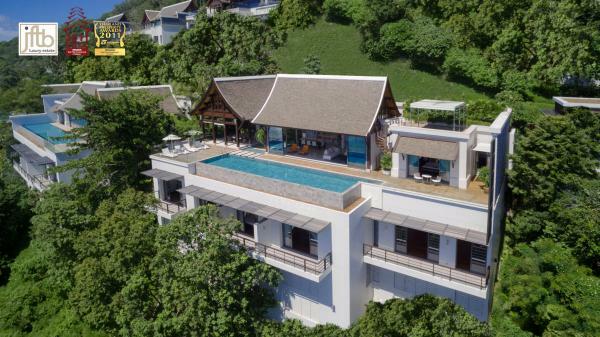 The villa also has beautiful landscaped gardens and one of the largest swimming pools in Phuket with 50 meters in length. 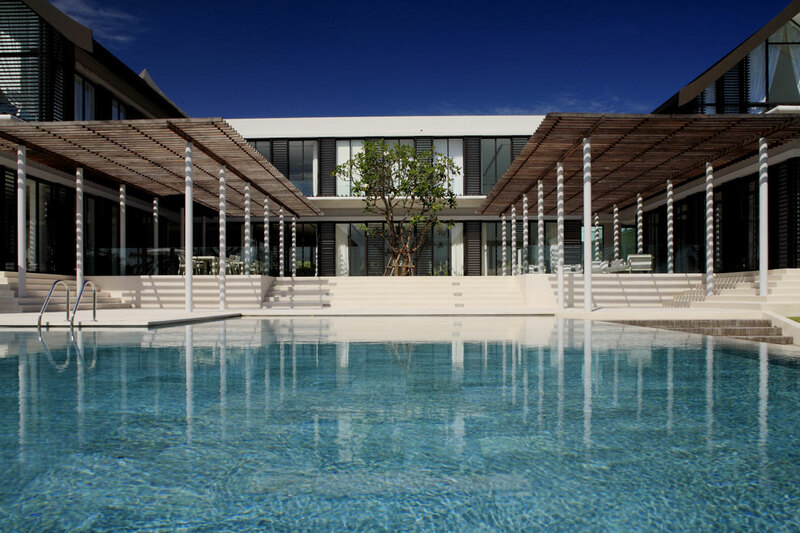 Building such a property at a price, architects and designers had no restrictions on the budget. 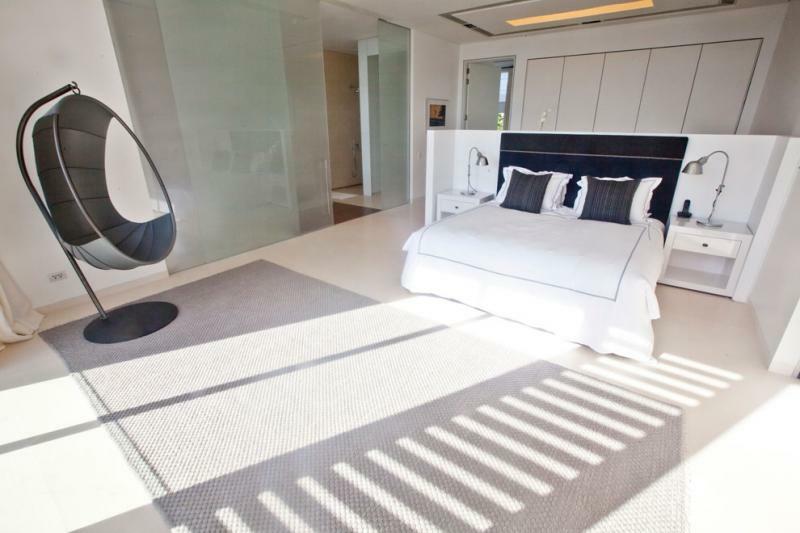 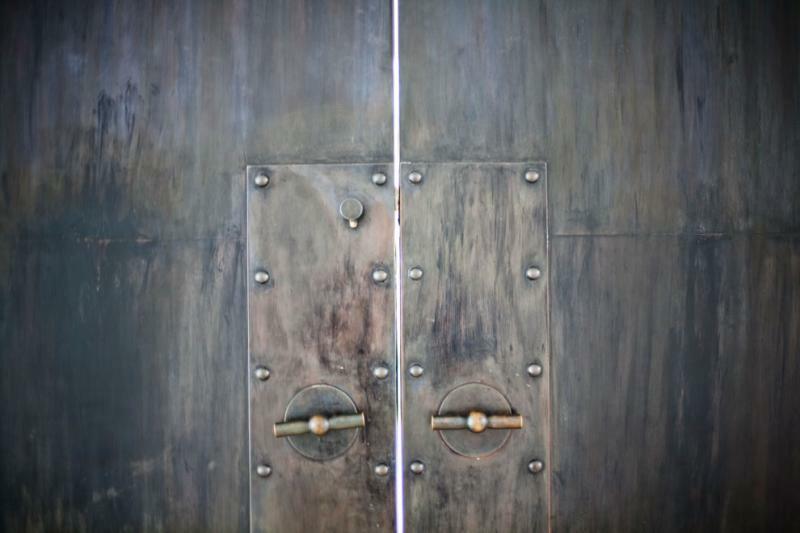 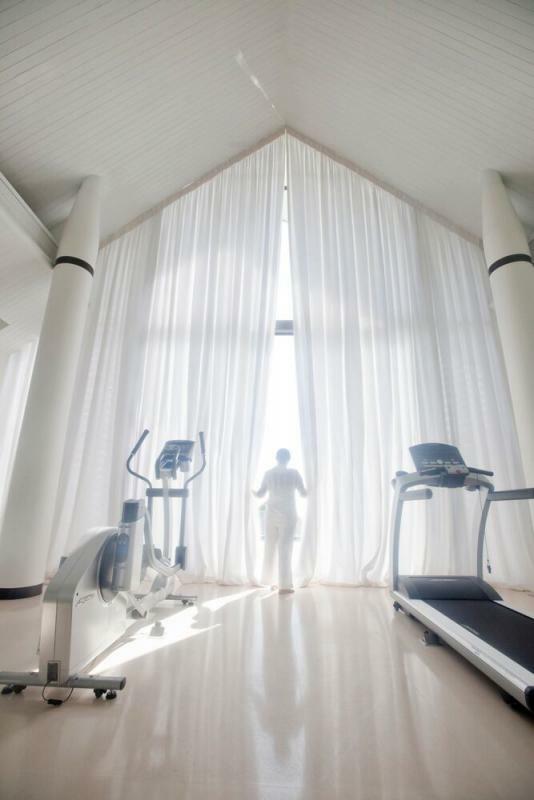 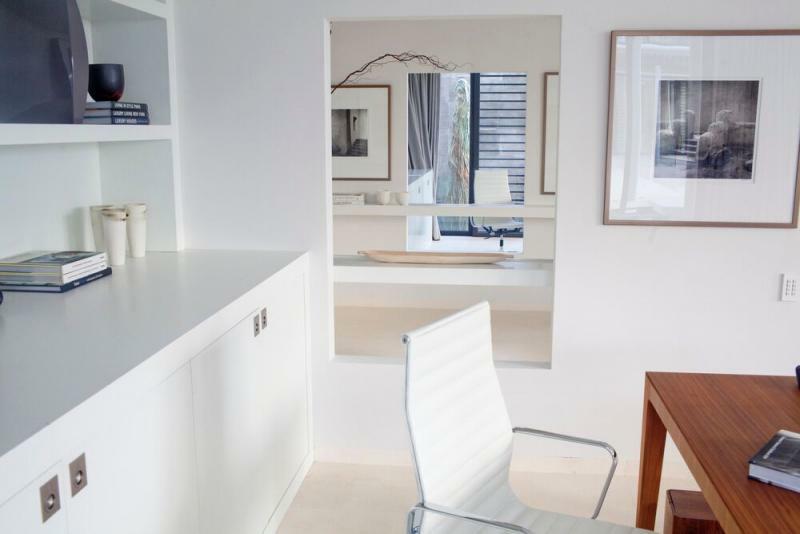 This Exclusive property has 6 en-suite bedrooms, 3 staff rooms and 2 professional kitchens, a spa, gym and cinema. 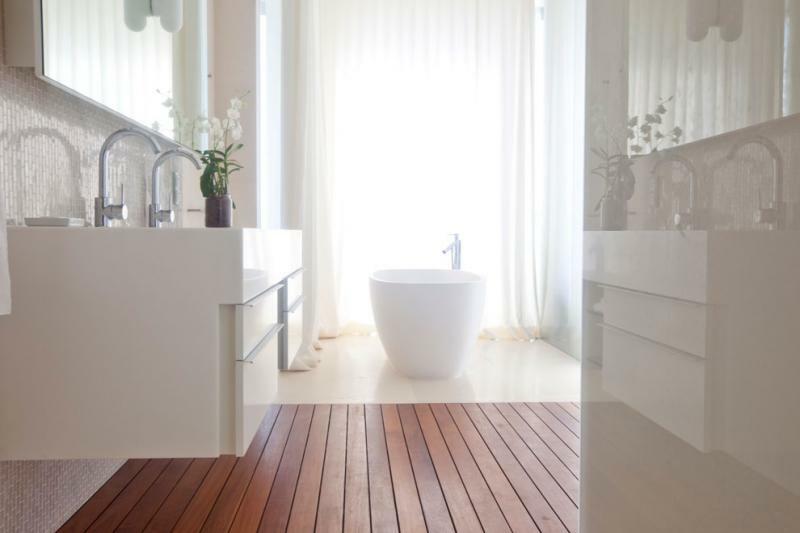 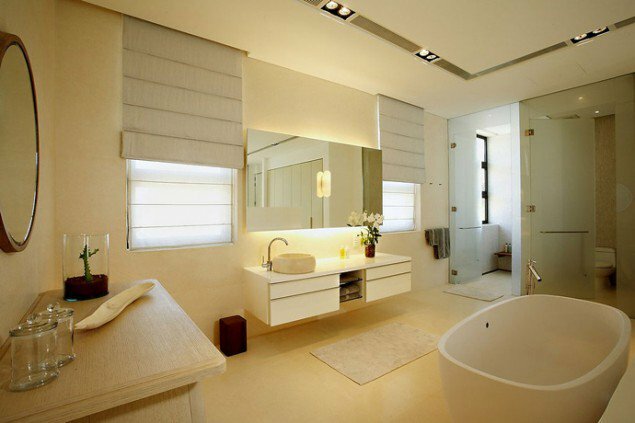 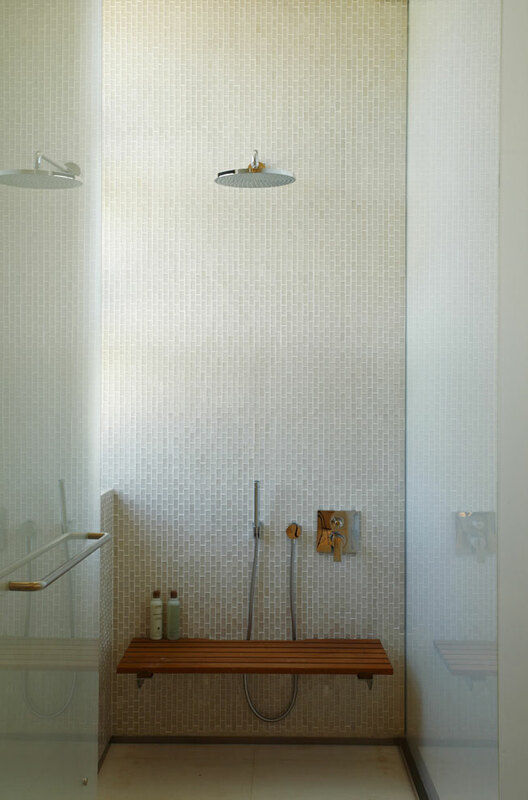 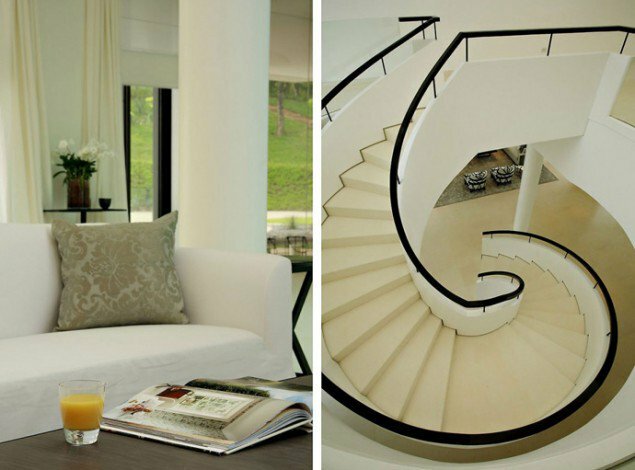 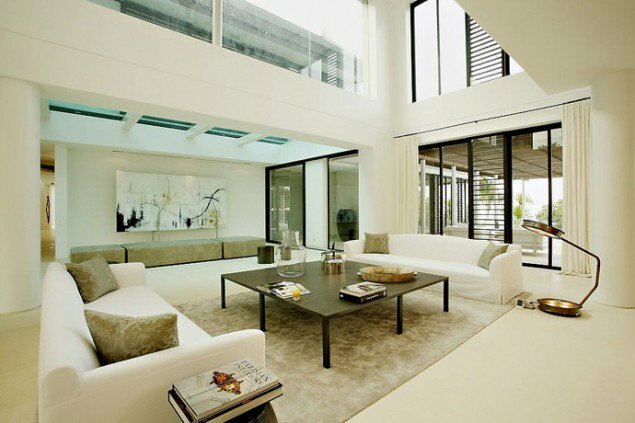 The interior design is refined, modern and very elegant. 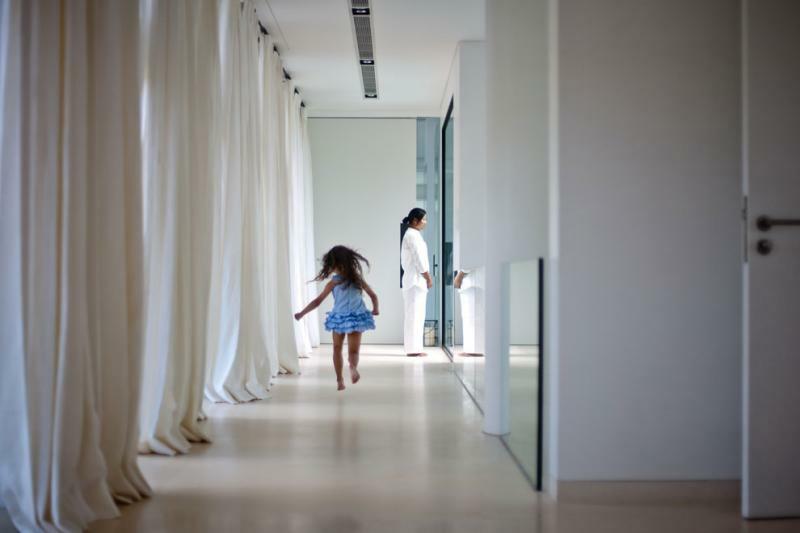 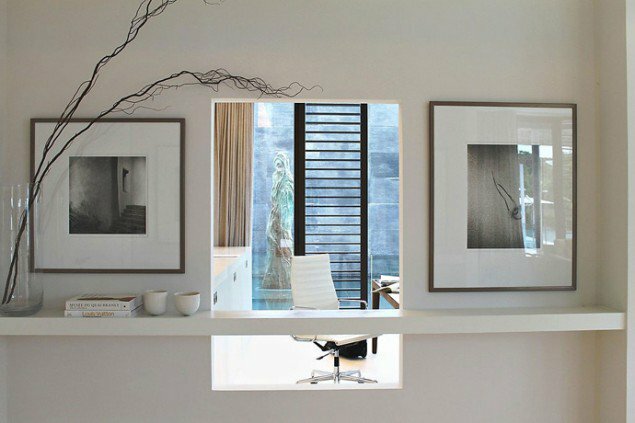 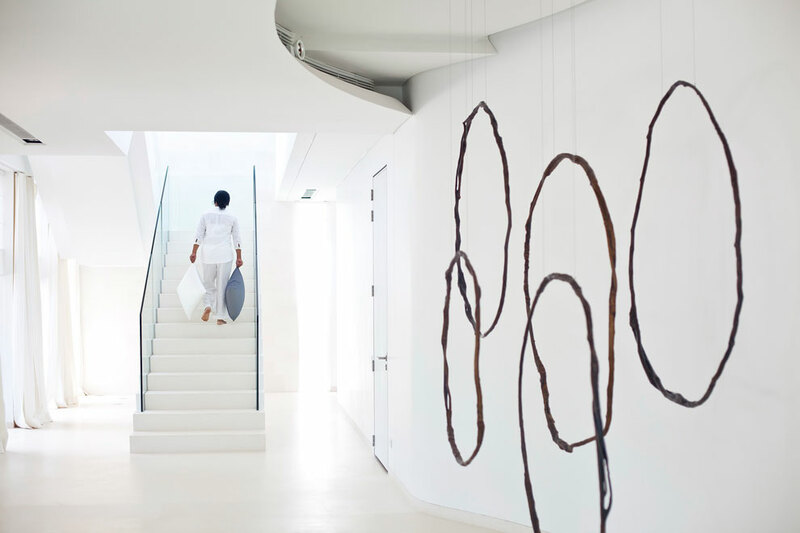 It is further enhanced by unique artwork exhibited throughout the residence.